For years, dogs have been working to incorporate human clothes into their wardrobes with pooch pajamas and dog leggings. So isn’t it time we added a little more canine to our couture? Cuddle Clones thinks so. 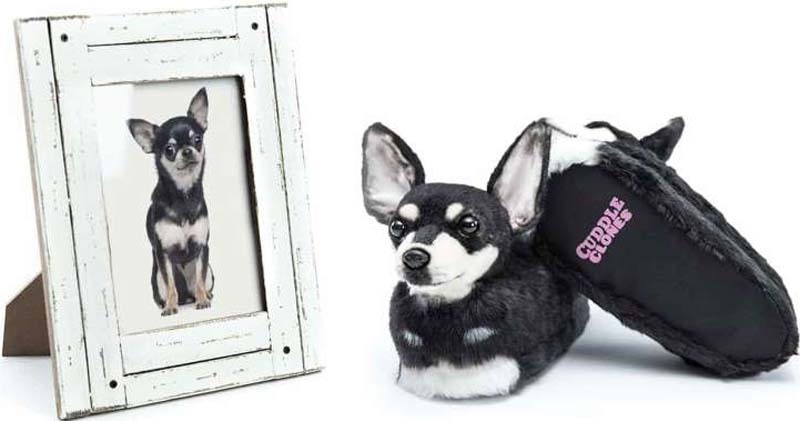 The company, which is named for the stuffed animal copies they make of people’s pets, is making custom slippers for extra-obsessed dog moms and dads. These foot duds are made just for you, using a photo of your dog for guidance. The final result is a set of furry slippers adorned with faces that look just like your pet’s. These soft and comfy creations currently cost $199, a small price for those who want to take their canine wherever the go. Cuddle Clones can also create slippers made to look like beloved pet cats. And, if you already have enough footwear, the company can craft custom purses, stockings and golf club covers in the likeness of your fur babies.